Wrap, top or dip and enjoy the endless versatility of Bazaar® Lebanese Bread! 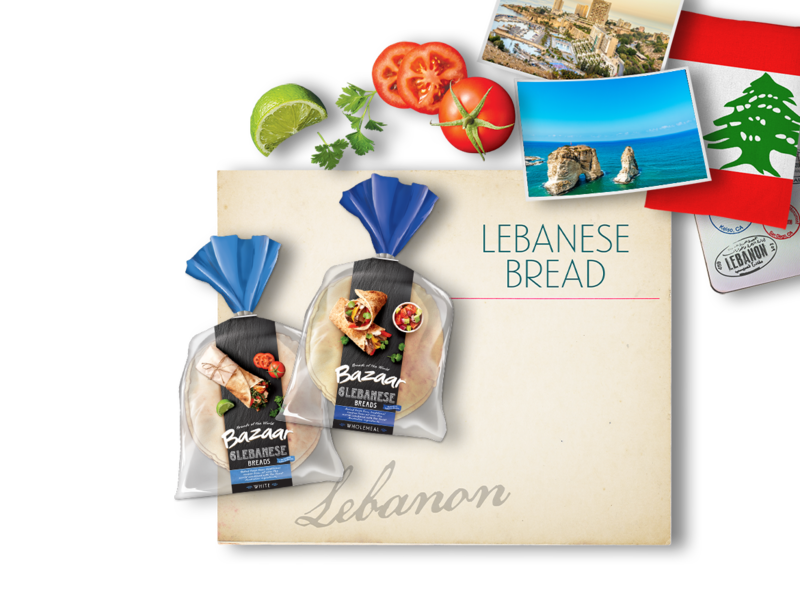 Using a traditional recipe, Bazaar® Lebanese Bread is a top quality product that you can enjoy for any meal occasion. Wrap up your sandwiches, top like a pizza, or tear and serve with your favourite dips. Available in White and Wholemeal!